As Star Wars Weekends continues this weekend at Disney’s Hollywood Studios, we felt somewhat compelled to complete the e.lemental table for the new trilogy comprised of episodes I, II, and III. 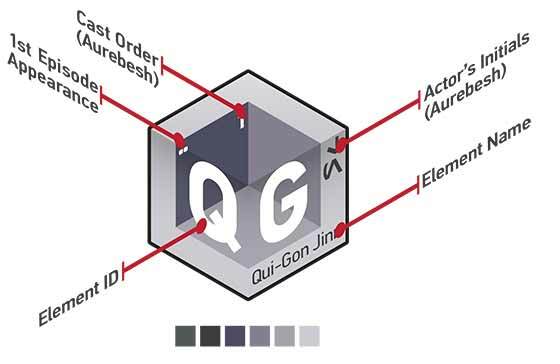 For this versions, however, we tried to take some of the feedback we received from the original elements of Star Wars, Episodes IV, V, and VI as well as push the design in another direction. First and foremost is the inclusion of a few more categories for the e.lements as opposed to simply Rebellion and Empire as in the original print. We started off with a larger set of groups, but chose to winnow that down to a more manageable number. 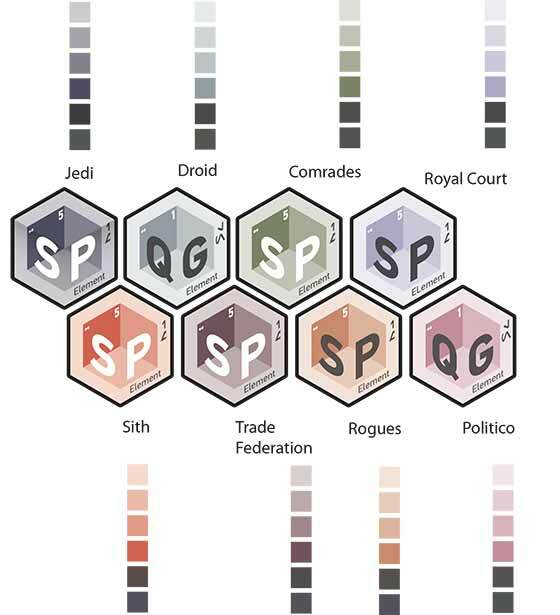 We have broken the categories into: Jedi, Droid, Comrades (friends and family of the Skywalker clan), Royal Court, Sith, Trade Federation, Rogues (not necessarily all bad, but sketchy to say the least) and the Politico. Just as we did with the first print in the series, this list of e.lements is derived from the main characters per the cast credits of the movie. That may not please all die-hard fans but we had to draw the line at a certain point and the primary cast for this trilogy was larger than the original. 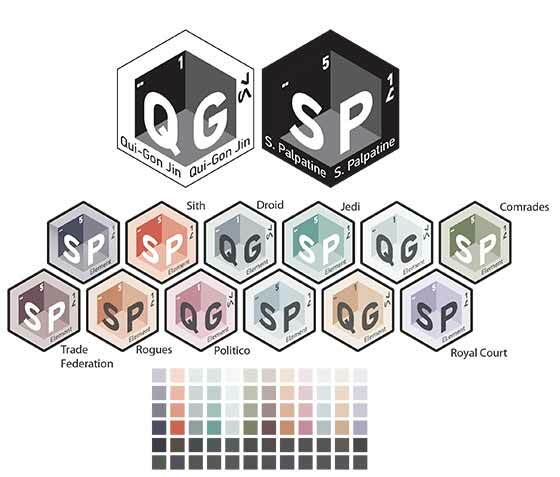 We have also kept the same key elements as the original e.lements as well and might try to create one giant table of the e.lements of the Star Wars universe at some point. We appreciate all the great exposure and wonderful comments we received from our first print which really drove our work to make this one even more creative in its depiction. 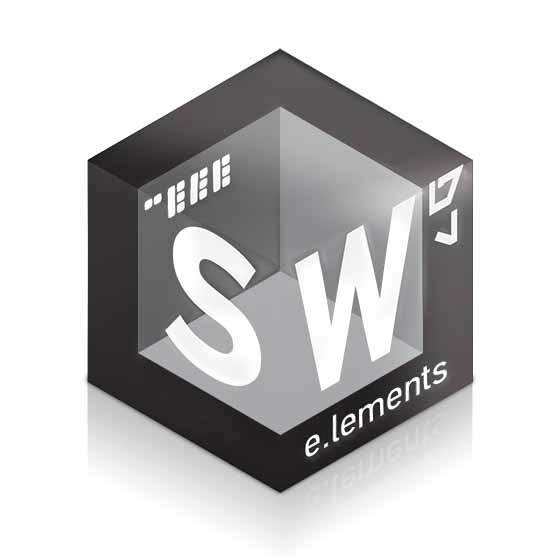 We hope that you enjoy the e.lements as much as we do. We will have prints available for sale at our Big Cartel shop as well as other products available at our Society6 and Skreened shops. If you have any comments, please feel free to contact us. Make sure you get out to Star Wars Weekends to see all the great things Disney has planned throughout the festivities.